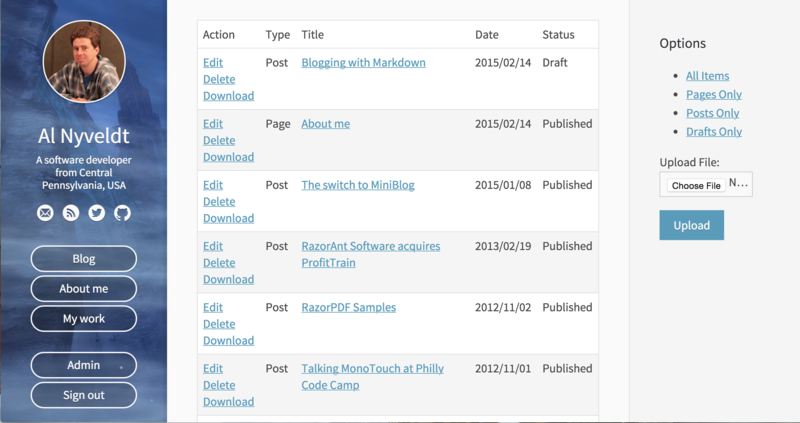 Recently, I've been spending some of my free time ripping into MiniBlog. 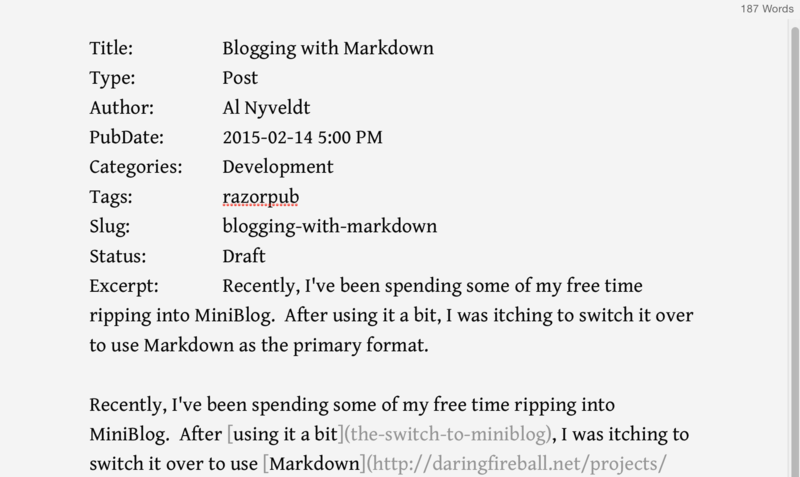 After using it a bit, I was itching to switch it over to use Markdown as the primary format. I have been using Markdown for a while now for my own notes and in some other web projects so it just seemed to be the right way to go for me. So that I could easily write my blog posts in whatever editor I wanted, I decided on a simple format with the properties listed out on top and then the blog post itself underneath. Doing this, lead to a bunch of things. It was the perfect time to make pages a first class citizen, and few more optional fields to the post/page object, and give the system an admin area for maintaining the blog easily. At this point, it is no longer really MiniBlog and I've decided to publish it as a fork of MiniBlog called RazorPub. As of today, it still needs a bit of cleaning up, but I expect I'll have it on github within a week or so.